Made for safe drinking water. 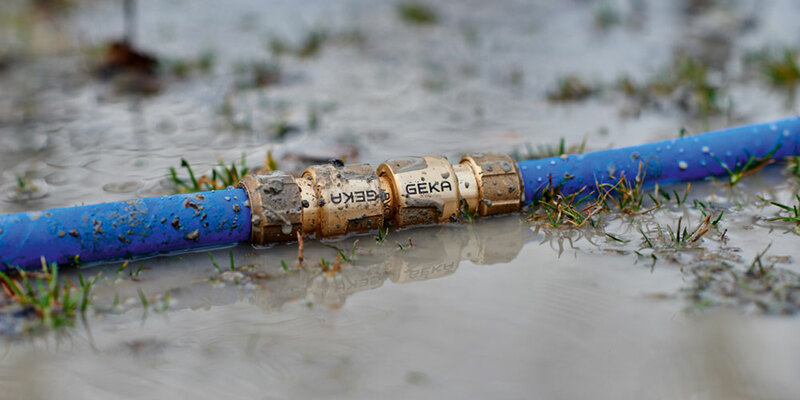 Global innovation: The GEKA® plus plug system for drinking water hoses. The components can be easily connected and disconnected again with a few clicks – so that the drinking water always remains pure. The drinking water plug system is compatible with all customary push-fit systems. Drinking water: A precious commodity. Drinking water is our most important foodstuff and is strictly controlled. Protect water and protect your health at the same time. That’s why the German Drinking Water Ordinance, among other things, ensures that the quality of our drinking water remains optimal. You receive a variety of components from GEKA® for the robust brass system. 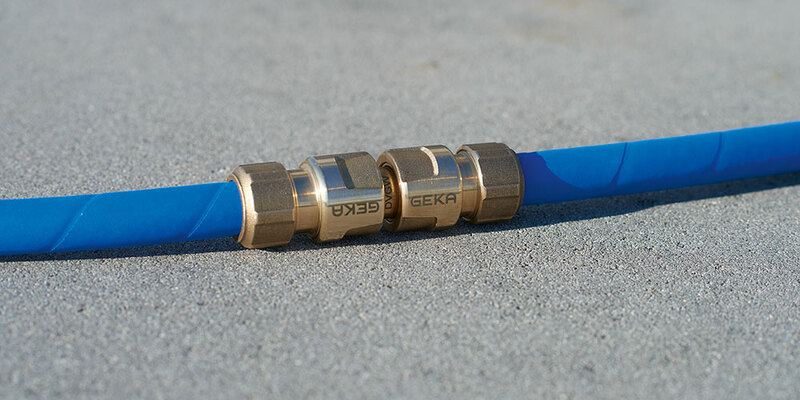 They can be easily reconnected and extended: The convenient alternative to the GEKA® plus quick coupling with drinking water certification. And what's more, professionals have been appreciating the unique GEKA® quality since 1928. The GEKA® plus plug system with drinking water certification. AQUAPAL, CONTI FESTIVAL, SEMPERIT AQUALINE LMW, Lilie native by Fitt, REHAU "Rauaqua"
Robust hose piece for connecting water tap and hose. Simple and drip-free. 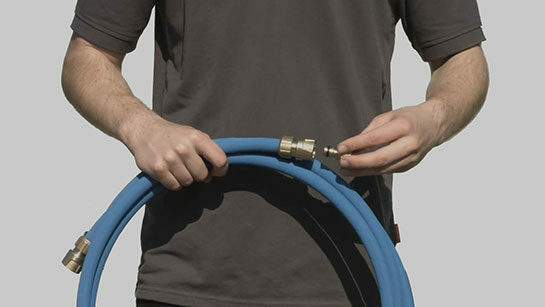 The hose piece can be connected with a simple click and easily disconnected again by pulling back the movable piece. Robust hose piece for connecting hose and end device (e.g. shower). Water-stop for easy switching of devices. 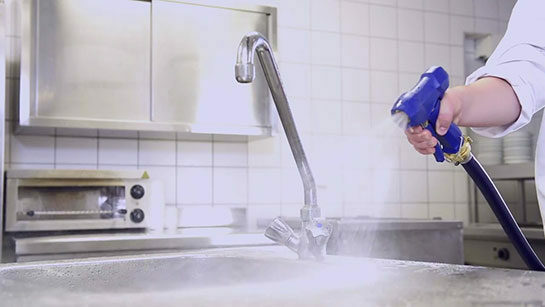 The hose piece with water-stop interrupts the water flow as soon as a connected cleaning gun is removed, for example. Plug for the flexible connection of two hose pieces. Can be easily removed and reconnected as required. Adapter for screwing onto the water tap. Can be used with all customary push-fit systems. contamination of hose plugs and inside of hose. Safe use of the GEKA® plus sealing plug. In order to avoid dirt and obtain a high quality of drinking water, always ensure the ground is clean when installing hose and plug system. … and not like this. Operators of sales vehicles or food stalls, etc., are legally obliged to use hoses and components which are certified for drinking water. 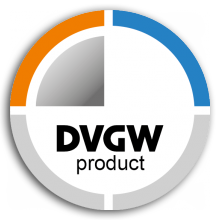 All GEKA® plus water hose fittings therefore have the DVGW certificate. This way you are always on the safe side when it comes to mobile water supply.